Middlesex University student Gigi Piscitelli has received £10,000 in pre-fund money after winning a prestigious first round entrepreneurship scheme. 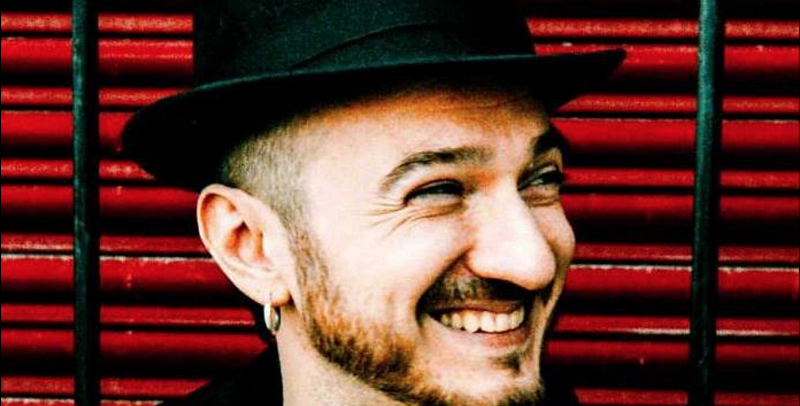 With over twenty years’ experience as a sound engineer working alongside Lou Reed, The Killers and Goldfrapp, the Italian-born artist enrolled for the MSc Creative Technology course in 2015, where he has been learning to develop virtual reality (VR) apps. More recently he attended the fiercely competitive investment meetup ‘Hack & Tell’ at Entrepreneurship First. After wowing investors with his VR pitch, Gigi and his business partner were awarded £10,000 pre-fund money for their 360° audio app. As part of the investment scheme, he’ll also be making exclusive new apps for some music festivals this summer. Entrepreneurship First funds some of the world's most ambitious tech start-ups and builds up their companies from scratch. Gigi is hoping that with their backing he will be able to develop a new app that allows live music shows to be accessed by virtual reality. His new music app VRSUS offers a real-time 360° mobile platform for users to discover artists, venues and concert performances. The content-rich app will offer direct links to event dates and tickets and navigation with VR maps. Entrepreneurship First has given Gigi and his partner server access, office space and mentorship to develop their ideas further. Building on his knowledge of new technologies at Middlesex, Gigi admits he “knew nothing about coding or how to build an app” when he enrolled on the course. By using a self-assisted development approach at the University, he has been able to explore many different fields with assistance from his teachers. “My course leader Dr Magnus Moar challenged me as a student and always encouraged me to explore new areas,” adds Gigi.